Sites like stimuluswatch.org, for example, have shown how the public can advise officials on which elements of the economic recovery program are most effective in creating jobs and resuscitating our struggling economy. Together we can identify and cut ineffective government programs and simultaneously support cost effective initiatives that maximize Return On Investment. Congressman Mike Honda of California served as a Peace Corps Volunteer in El Salvador in the 1960's. 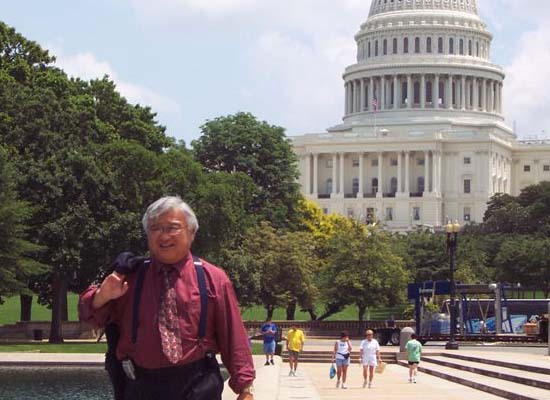 Guest blogger Rep. Mike Honda, D-San Jose, serves in the U.S. Congress on the House Appropriations subcommittee on the Legislative Branch. Tim recently asked readers of this blog to help provide me with guidance on the best way to make official legislative databases available to the developer community. The question, which also made its way onto Slashdot, led to a wealth of proposals, some of which I am considering developing into new legislation. Following on the success of that initial conversation, I’d like to ask for your guidance once again. How can Congress take advantage of web 2.0 technologies to transform the relationship between citizens and government? Instead of viewing the public as a customer for services, I believe that we should empower citizens to become our partners in shaping the future of our nation. Sites like stimuluswatch.org, for example, have shown how the public can advise officials on which elements of the economic recovery program are most effective in creating jobs and resuscitating our struggling economy. Together we can identify and cut ineffective government programs and simultaneously support cost effective initiatives that maximize Return On Investment. Websites like these only become possible when government data (in this case a list of project requests from the US Council of Mayors) is repurposed to enable public participation. Until more government databases become available, however, the full potential of web 2.0 technologies will remain unfulfilled. A dramatic shift in perspective is needed before that need can be met. Instead of databases becoming available as a result of Freedom Of Information Act requests, government officials should be required to justify why any public data should not be freely available to the taxpayers who paid for its creation. Free your data, especially maps and other geographic information, plus the non-personal data that drives the police, health and social services, for starters. Introduce a ‘presumption of innovation’ – if someone has asked for something … give them what they want: it’s probably a sign that they understand the value of your data when you don’t. My constituents in Silicon Valley understand how opening up data can catalyze dramatic innovation, and I recently enacted legislation to provide free public access to legislative databases with that goal in mind. It is my hope that this information can foster the development of initiatives to empower the public to collaborate with and provide advice to Members of Congress. No longer will individuals simply petition their representatives – instead you should be our most valued advisors. Government 2.0 is an achievable goal, and together we can make it a reality. In fact, I recently began a comprehensive redesign of my website with the goal of developing new and unprecedented ways of collaborating with my constituents. To solicit ideas for the new website, I sent my Online Communications Director to a conference to lead a website brainstorming session. That conversation resulted in several intriguing proposals, including the suggestion that I post my hearing schedule for the week so that my constituents could propose questions for me to ask of witnesses. The success of that session, and the quality of your answers to the last question I posted here, gives just a hint of the possibilities that can result from greater partnership between elected officials and the public. While I may not be able to implement every idea that is suggested, I do plan on providing a list of the most innovative ideas to my fellow Members of Congress. 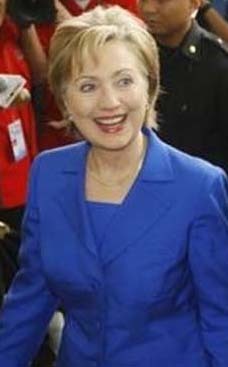 What features could I implement on my website to tap into the wisdom of the crowds? With your help we can empower the public to partner with Representatives in improving the policies of our nation. Let’s begin making Gov 2.0 a reality.